For Brayden Borquez ’19, running track had always been in the family. Borquez’s father, Anthony, was a track star in the 80’s at Alemany, eventually moving on to run for USC. Brayden credits his dad’s track career as likely being the reason he started his own. Now, however, after a 2018 season that included both Mission League and CIF championships, the younger Borquez has emerged as a bona fide star in his own right. Brayden Borquez is the 2018 Male co-Breakthrough Athlete of the Year. 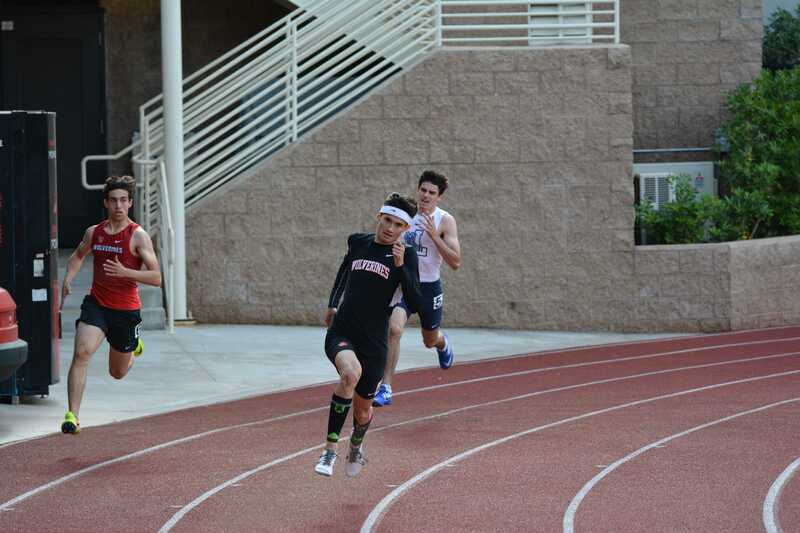 The junior track star was part of a team that won a Divsion 3 championship, a Mission league championship and beat Loyola for the first time in school history. To Borquez’s teammates, his athleticism and talent is matched by his innate drive and will to win. Borquez himself said that he relishes the grind of track season. Throughout his successes on the track, Borquez credits his father for mentoring him. This season was full of personal records and accomplishments for Borquez. He was the Mission League champion in both the 400M race and the 300M hurdles. Additionally, he was part of the league-champion 4x100M and 4x400M relay teams. He was undefeated in Mission League dual meets. In the Division 3 400M finals, Borquez turned on the jets, beating out Ismail Turner of West Ranch with a personal-best time of 47.76 seconds. With one season left in his high school career, Borquez already holds school records in the 300M hurdles and 400M race. “Brayden is, no holds barred, the greatest male track and field athlete this school has ever had the pleasure of running,” fellow runner Mason Rodriguez ’18 said. In addition to his strongest two races, Borquez is also very versatile, capable of running in several events for the Wolverines. “He can go from 100 all the way up to 800, and he can do it with hurdles as well,” Rodriguez. With many seniors graduating at the end of the school year, several people on the team, including head coach Jonas Koolsbergen, highlighted Borquez as a potential leader on next year’s team.